Come fly with us on your exclusive hot air balloon ride. Note: We are not Sundance Balloons. Ottawa Hot Air Balloon Rides is a dynamic hot air balloon company. We offer exclusive, private and personal Balloon Rides, Corporate Advertising and Special Shape Hot Air Balloons. 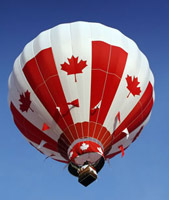 We own and operate our own balloons, right here in Ottawa, Ontario, Canada. We are veterans of the sport and together have over 3000 hours and over 75 years of combined hot air balloon piloting experience – all over the world, as well as in the USA and right here in Canada. YOUR BRAND FEATURED IN THE SKY! 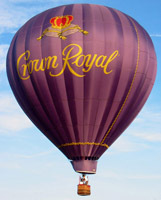 No billboard or TV ad can capture and retain an audience the way a hot air balloon can. Ottawa Hot Air has a proven track record of successful aerial advertising campaigns using hot air balloons in Canada, the USA, and around the world. 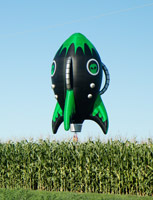 We can help you design, create, build, run and manage the perfect balloon program. We are the only people in Canada, and amongst very few people in the world to have built and flown our own special shape hot air balloons. These special shape balloons have been extremely successful and well received. We are fortunate to have been invited to balloon festivals all over the world, and we love showing them and flying them all over the world.